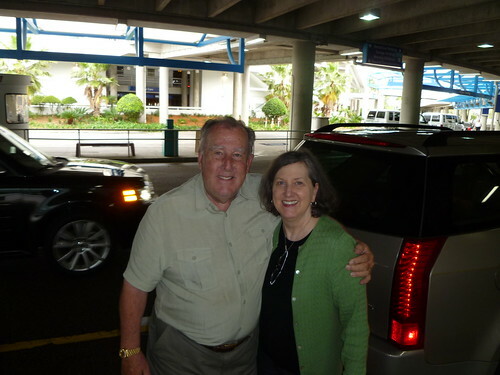 Yesterday we flew to Jacksonville, Florida, to spend a week with my brother, John, and his family. 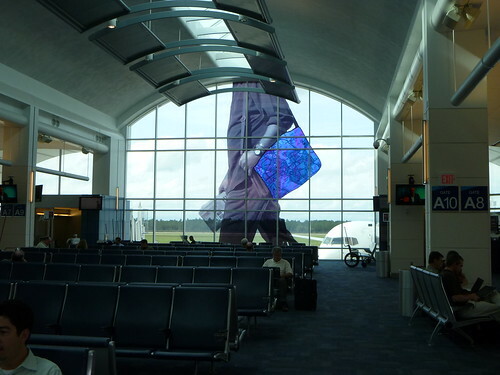 We both did a double take when we saw this at the airport. Had to walk closer to figure out that it is simply something on the window. This was a much better sighting! Living on opposite corners of the country inhibits our face-to-face connection, making this all the sweeter. 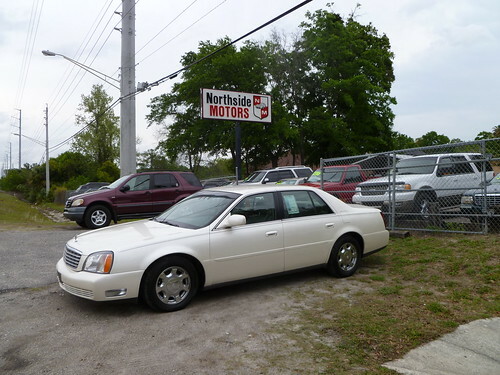 In typical John Nill style, we stopped off to pick up the car he purchased that morning—a 2000 diamond white Cadillac Deville sedan with low, low miles. So Mauri jumped in it and and followed us home. This added one car to a fleet from which we will choose for our get-around ride for the week. 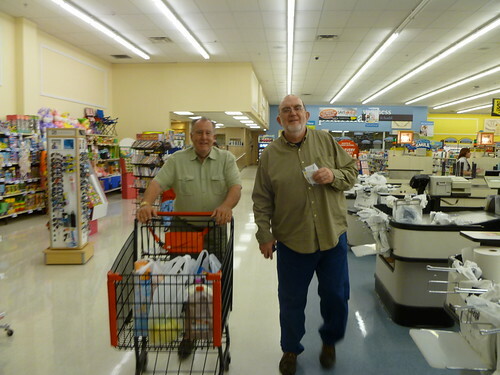 And then out again to shop for some necessities. We’re going to have some fun in the well-appointed kitchen of Brother John’s lovely country home. Easy to believe that man is your brother. Enjoy your week.